As expected Rafa has won the US Open his 16th Grand Slam in straight sets 3,3 and 4. Nadal was supreme. Did not give a sniff of a chance to the tall South African. Never had a break point on his serve. As more and more serves kept coming back Anderson's first serve percentage dropped down. As the rallies got longer there was that inevitability who will win the rally. After all who has won long rallies against Rafa. Anderson fought hard. But Rafa in this kind of form nobody on planet earth could beat him. Only 3 titles seperate him from the GOAT. Nadal is much younger, only 31 years of age . The way Novac, Andy, Stan are getting injured and next gen stars are unable to come up Rafa is going to breach the gap very soon. Roger better attend to your back. North Korea has indeed conducted its sixth nuclear test. The U.S. Geological Service and the China Earthquake Administration recorded a 6.3 magnitude earthquake as a result of the detonation on Sept. 3, followed by a 4.1 magnitude quake due to a suspected cave collapse resulting from the explosion. It's unclear at this time how much radiation and other radionuclide (unstable atoms released with excess nuclear energy) indicators have escaped into the atmosphere, but U.S. and Japanese aircraft specialized in tracking nuclear radiation are already airborne. Numerous ground-based Comprehensive Nuclear-Test-Ban Treaty monitoring stations are attempting to collect sample data to further assess the test as well. The North Korean government in fact claimed that they had successfully tested a hydrogen bomb. It also said that the hydrogen bomb tested was specifically designed to fit into an intercontinental ballistic missile (ICBM). 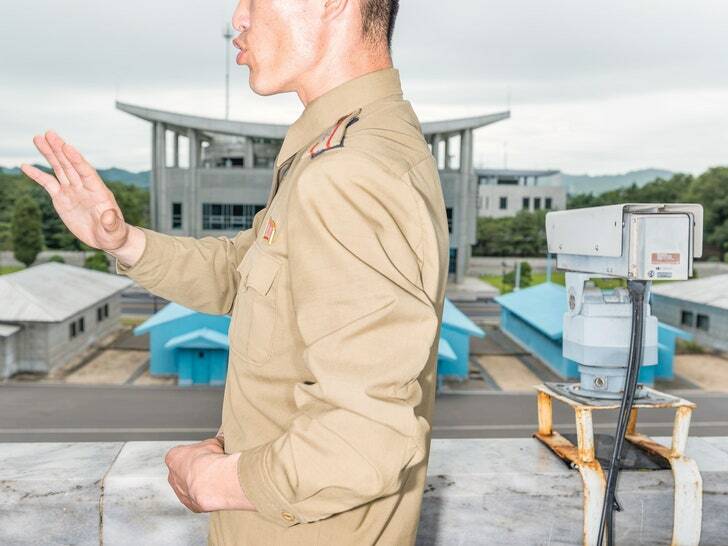 Prior to the test, North Korean leader Kim Jong Un and other officials were shown standing around what appeared to be a model of a miniaturized hydrogen device resembling a two-stage thermonuclear bomb. Finally, Pyongyang claimed that the device was yield-adjustable, or that it can be preprogrammed to detonate at variable explosive power levels. This implies that North Korea could mass produce a single design for multiple functions, and that they could have tested the bomb at a much higher yield setting. It's possible, then, that the North Koreans deliberately did not detonate a hydrogen bomb at a higher yield level setting to avoid collateral damage and emissions. When Chris Painter became the State Department’s first cyber coordinator in 2011, he had no international counterparts. The U.S., alone among nations, had decided the topics his office oversaw—developing international rules of the road in cyberspace, lobbying for a free and open internet, and helping developing nations build cyber emergency response teams—deserved its own office in the State Department. Now, there are more than 20 similarly positioned cyber executives at foreign ministries across the globe, but Painter’s office is vacant. Secretary of State Rex Tillerson shared plans to shutter the office along with dozens of other offices of special envoys, coordinators and ambassadors in an effort to streamline the State Department bureaucracy. Painter’s office will be merged into State’s Bureau of Economic Affairs, according to a plan Tillerson sent to Congress on Monday. Painter’s role—filled by someone else—will be dropped in rank and have less power to work across State bureaus or to press issues on the international stage. Painter criticized that move in a wide-ranging interview with Nextgov Thursday. International cyber issues are too broad to be pigeonholed inside a single bureau, he said. Some global cybersecurity challenges, such as nation-state cyberattacks and terrorist recruiting online, also risk being given short shrift by an economic section that’s less concerned with security challenges, he said. 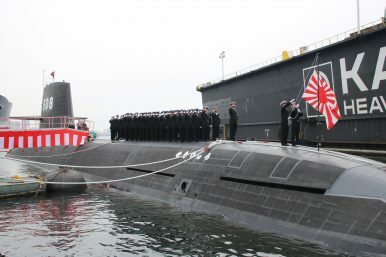 India and Japan are considering expanding joint anti-submarine warfare training. Indian Defense Minister Shri Arun Jaitely and his Japanese counterpart, Itsunori Onodera, have agreed to expand joint anti-submarine warfare training between the Indian Navy and Japan Maritime Self Defense Force (JMSDF), according to a joint press statementissued on the occasion of the India-Japan Annual Defense Ministerial Dialogue, held on September 5 in Tokyo, Japan. “The two sides will consider inclusion of Anti-Submarine Warfare (ASW) training to expand cooperation,” the statement reads. “In addition the ministers agreed to pursue exchanges and training by ASW aviation units such as P-3C.” (Japan currently operates around 80 P-3C Orion aircraft.) Furthermore, the press statement specifically mentions the participation of Japan’s first indigenously developed and built maritime patrol aircraft, the Kawasaki P-1, in next year’s iteration of the trilateral Malabar naval drill. Japan became a permanent member of the annual Malabar naval exercise, originally a bilateral naval drill between the United States and India, in 2015. This year’s naval drill had a heavy ASW focus and included the MSDF’s largest surface warship, the helicopter carrier JS Izumo, an effective anti-submarine warfare platform. (The carrier can accommodate over a dozen Mitsubishi-built SH-60k ASW helicopters.) The statement does not mention additional details on future Indo-Japanese ASW training. Mountain Of DeMo Data Has Yielded A Molehill In Terms Of Tax. Is Raid Raj The Only Way Out? Is the post-DeMo tax hunt yielding a mouse? Granted. India’s tax evaders did not keep their money outside the banking system post-demonetisation (DeMo) to avoid scrutiny. A few days ago, the Reserve Bank of India (RBI) made it clear that 99 per cent of the demonetised Rs 500 and Rs 1,000 notes came back to the banking system between 8 November and 31 December 2016, leaving less than Rs 16,000 crore of potential black money out. Some of this money could merely be money one had forgotten about, or left behind in some locker or cupboard. However, the one thing the government has in plenty is data. The question is what will this data achieve by way of higher income disclosures and tax collections? As things stand, a mountain of data has yielded a molehill, though this is admittedly too early to claim that the campaign against tax evasion was a failure. Consider where we have progressed between February, when Finance Minister Arun Jaitley first gave information on post-DeMo bank deposits, and now. In his budget speech, Jaitley said that between Rs 2 lakh and Rs 80 lakh was deposited in more than 1.09 crore accounts, and the average deposit size was just above Rs 5 lakh. Deposits of more than Rs 80 lakh were made in another Rs 1.48 lakh accounts, where the average deposit size was Rs 3.31 crore. 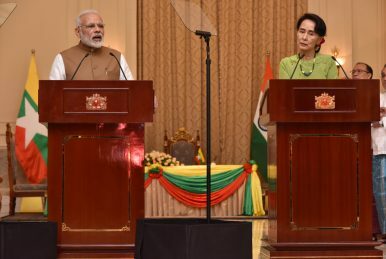 America must think more carefully about what is in its best interest because the circumstances in South Asia are rapidly changing. President Trump has decided to follow the lead of his military advisers in Afghanistan, choosing not to pull out the U.S. troops that candidate Trump had pledged to withdraw. 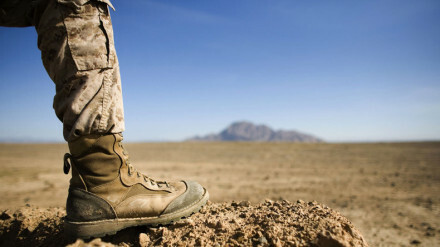 Rather, he’ll send more troops, with the express purpose of training and supporting the Afghan security forces. Also, he emphasized that he won’t engage in nation building. Instead, he will simply defeat the Taliban. As part of this approach—not all that different from that of his predecessors—Trump plans to eradicate ISIS and other terrorist groups. He will seek greater commitment from India to assist in Afghan economic development and, of course, get tough with Pakistan, a sentiment that has sparked an alarming reaction in Islamabad. Amid rising frustration in the White House about the war in Afghanistan, reports have emerged about two major dynamics: a disagreement between National Security Advisor LTG H.R. McMaster and the president’s chief strategist, Steven Bannon, over the way forward in Afghanistan, and, as part of that disagreement, the future of General John Nicholson Jr., the Commander of U.S. Forces in Afghanistan. Amid this debate, The Cipher Brief’s Mackenzie Weinger spoke with Anthony Cordesman, the Arleigh A. Burke Chair in Strategy at the Center for Strategic and International Studies, about the U.S.’ future strategy – or lack thereof – in Afghanistan. The Cipher Brief: How would you assess the current debate within the administration? How are they looking at the current strategy in Afghanistan – and developing a future one? Anthony Cordesman: It’s a series of debates, depending on where you are. Remember, if you are dealing with military strategy and planning, you’re dealing with specifics, not generalities. If you’re in the White House, you have a debate over whether you should be or stay in Afghanistan at all. And then you have the debate over what military and civil strategy you should pursue, which is often related to issues like the budget. You have an argument over whether you should use regular forces or consider some kind of contract arrangement. And you have a separate debate at State over the levels of foreign aid and assistance. People often really don’t understand how many different communities of the U.S. government get involved in trying to shape different aspects of strategy. A centralized political system in Afghanistan only intensifies the competition for power and increases the cost of holding the country together. After spending half a year reviewing America’s Afghan strategy, The Trump administration ended up with nearly the same limited re-intervention plan promoted by the out-going Obama administration. The policy seeks to bolster the Afghan National Army to prevent the insurgency from winning, make another push for good governance to enhance political stability in Kabul and then to reconcile with the Taliban from a position of strength. President Trump’s approach will succeed if it confronts the reasons for the political disorder in Kabul, something Presidents Obama and Bush failed to do. The reason the Trump administration has to send more troops to Afghanistan is that the Obama administration erroneously believed that it could use the Afghan presidential elections of 2014 to re-establish political legitimacy and a reliable partner in Kabul. Corruption, dysfunction and the political decay of Hamid Karzai’s presidency—promoted by the Bush administration—had strengthened the Taliban insurgency. The Obama administration believed, as the Bush administration before, that only a strong and legitimate central government and a powerful president could facilitate political stability and economic growth, contain Afghanistan’s fractious ethnonational identities, weaken the Taliban, and enable the Afghan government to stand on its own feet. 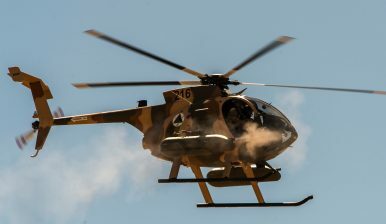 The Afghan Air Force (AAF) is slated to receive 150 new MD530 F Cayuse Warrior light attack helicopters by 2022 bringing the total number of MD530 Fs operated by the Afghan Defense and National Security Forces (ANSDF) to almost 180. The U.S. Department of Defense (DoD) announced on September 5 that it has issued a $1.38 billion contract to MD Helicopters “for procurement of an estimated quantity of 150 MD 530F aircraft and required production support services to include program management, delivery support, pilot training and maintenance.” The estimated completion date of the contract is 2022. According to a MD Helicopters press release, the first deliveries under the contract will be 30 MD 530Fs for an estimated $177 million. The first part of the order is expected to be completed by September 2019. The AAF received the last batch of four MD-530F helicopters in August 2017. There are currently 27 MD-530Fs operated by the AAF in Afghanistan. As I reported previously (See: “Afghanistan’s Newest Attack Helicopter a ‘Total Mess’?”), a number of AAF pilots have criticized the size and capabilities of the helicopters in the past. “Mission Equipment for these aircraft will include a ballistic crash worthy fuel system, consisting of a main fuel tank and a 38-gallon Auxiliary Fuel Tank, high capacity landing gear, FN Herstal Weapons Management System, DillonAero Mission Configurable Armament System (MCAS) weapons plank and Fixed-Forward Sighting System, Rohde & Schwarz M3AR Tactical Mission Radio, and FN Herstal .50 caliber HMP 400 Machine Gun Pods and M260 7-shot rocket pods,” MD Helicopters notes in the September 6 press statement. Before the Syrian conflict, there was little talk outside of the former Soviet Union about the fighting prowess of Chechens. But with the advent of the Islamic State (ISIS), Chechens, or shishani in Arabic, have developed an international reputation as some of the toughest fighters in the world. The rise of one, Abu Omar al-Shishani, to ISIS’ highest military position reinforced this public image, and according to recent interviews in Mosul, Chechens in ISIS were among the foreign fighters most feared by civilians. But those who fight with ISIS are just one group of Chechen forces currently operating in Syria. Politically and militarily active Chechens are divided into three groups—all of which have sent foot soldiers to Syria. The first group is made up of supporters of the current head of the Chechen Republic, Ramzan Kadyrov. They are known as the Kadyrovtsy. As the official armed forces in Chechnya, they have the best military training and the most experienced fighters. Their main opponents are the Ichkeriysy, from the Independent Chechen Republic of Ichkeria, and the Emiratovsy, of the Islamist Emirate Caucasus. The Ichkeriysy are mainly nationalist followers of Sufi Islam. They fought during the first and second Chechen wars for an independent state of Ichkeria, which existed from 1991 until 2000 and was recognized only by the Taliban government of Afghanistan. Although these fighters have extensive military experience, there are few left. Many of them have emigrated to Western Europe. The Russians have been especially secretive about the weapon and, if true, this would be its first combat use ever. A rumor has appeared on social media suggesting that Russia has dropped its most powerful non-nuclear bomb, nicknamed the Father of All Bombs, on ISIS terrorists in Syria. If confirmed, this would be the first time Russia has employed this weapon, which is has otherwise revealed very little about, in combat. On Sept. 7, 2017, posts appeared on Twitter alleging that witnesses and activists near the Syrian city of Deir ez-Zor, had seen the weapon in action.. As yet, though, there has been no reporting in English language Russian news outlets or an official statement from the Russian Ministry of Defense. There are few concrete details about the FOAB, formally known as the Aviation Thermobaric Bomb of Increased Power (ATBIP), and almost no official pictures or video of the bomb – one Tweet even used a picture of a mockup of the Soviet hydrogen bomb Tsar Bomba instead. It apparently uses a high explosive filler boosted with a mixture of aluminium powder and ethylene oxide, components common to other known thermobaric weapons, to create the high-intensity blast and associated shockwave. Pyongyang would not hesitate to sell nuclear technology to build its military and keep Kim Jong-un in luxury. North Korea almost certainly will not attack the United States or its armed forces or its distant territories with conventional or nuclear weapons. The costs to Kim Jong-un and his country would be monstrous. Kim’s hyperbolic rhetoric is much more a message to the North Korean people than to Americans, and his hyperbolic language is like his father’s and grandfather’s, and means little. What is highly likely, however, is Kim selling nuclear technology to truly dangerous adversaries of the United States—some of which the United States will be less likely to deter. Nuclear nonproliferation has been an essential part of United States national-security strategy since 1945. It has been a largely successful policy—there are only eight nuclear capable countries in the world and half of them are not U.S. adversaries. The United States (and most other countries) desires no more nuclear capable states. President Harry S. Truman established the policy when World War II ended by breaking a promise to the United Kingdom, which provided seminal help to the United States in the earliest days of the Manhattan Project. The United Kingdom was promised—but denied after World War II ended—assistance in developing its own atomic weapons. A War with Russia Would Go Nuclear. Here's Why. Simply put, if Russia were faced with a large-scale attack that could defeat its conventional forces, Moscow might resort to nuclear weapons. But they are also major blows to the regional aspirations of Russia, which hopes to keep the still unincorporated segments of the former Yugoslavia “neutral”—that is, outside the EU-NATO fold. Moscow actively sought to prevent the pro-Western transitions in Macedonia and Montenegro, sometimes in dramatic and violentfashion, and will doubtlessly continue to meddle in the affairs of both countries. But the target of Russia’s next Balkan gambit—possibly the most forceful one yet—is in the region’s strategic center: Bosnia and Herzegovina. Russia’s plan for Bosnia will be shaped by two major factors. The first is the Kremlin’s long-standing relationship with Milorad Dodik, the secessionistpresident of Republika Srpska, Bosnia’s Serb-dominated autonomous region. The second, more alarming factor is the emerging link between Moscow and Dragan Covic, the Croat member of the country’s three-person presidency and head of the Croatian Democratic Union of Bosnia and Herzegovina (HDZ BiH), an offshoot of the Croatian Democratic Union (HDZ), the current governing party in Zagreb. 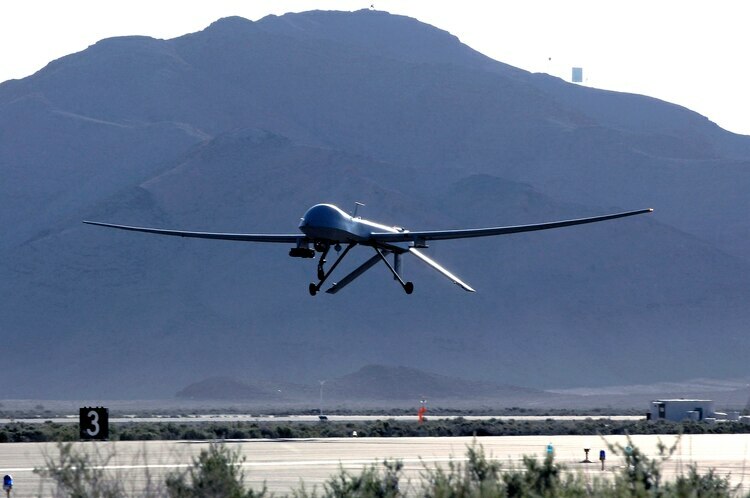 WASHINGTON — The U.S. Air Force is undergoing a “paradigm shift” in the way it approaches intelligence, surveillance and reconnaissance, and the future of new unmanned platforms perform those needs, according to the service‘s acting associate deputy chief of staff for ISR. “I need to design outward from the data now. I need to stop deigning to make the best aircraft for the best sensor,” Kenneth Bray said at the Defense News Conference in Pentagon City, Virginia, on Wednesday. The Air Force, Bray said, has traditionally tried to focus on building the highest-flying, fastest and overall best platforms and sensors. With the advent of the digital age, he said, the force must be focused on answering the right questions as fast as they can for commanders at air operations centers. “Stop trying to make the next best thing to be the best on the planet because it’s not helping. I need to fundamentally change so we provide the best answers on the planet because when we face an adversary of like capabilities and we may not have as much capability as them in weapons, we need to have the answer before they have the answer so that we can shape how the outcome occurs,” he explained. How can DHS and Congress protect HBO and Equifax when they're slow to protect their own '.gov' domains? HBO’s hack is merely just the latest in a sustained, decade-long series of high-profile commercial cyberattacks that include Sony Pictures, Target, and Google. In each of these cases, the private sector turned to the federal government for help to identify threats, protect their networks, and prevent future attacks. But how capable is our government’s ability to assist the private sector, when we’re still struggling to defend highly secure government networks from cyber-intrusion, exfiltration, and attack? I served in the Office of the Secretary of Defense during several of the country’s worst cyberattacks, including North Korea’s July 4, 2009, attack against nearly the entire U.S.government email system and the 2014 Chinese hack of the Office of Personnel Management’s records database, amounting to what one expert called “greatest theft of sensitive personnel data in history.” Unfortunately, now in late 2017, badly needed and planned upgrades meant to protect government systems have not arrived on schedule. WASHINGTON: Tired of complaining about space programs that are over budget and behind schedule? Build a space version of the Air Force’s Rapid Capabilities Office. Oh, and just go out there and lead. You don’t need a Space Corps to fix what ails the space enterprise, former Air Force Space Commander Bob Kehler told a day-long seminar on how to organize space to fight a war. While he said he didn’t oppose the idea of a Space Corps, championed by Reps. Mike Rogers and Jim Cooper of the House Armed Services subcommittee on strategic forces, he certainly didn’t support it. “I think you should reorganize only when absolutely necessary,” Kehler said. “At this point, at any rate, it’s a major distraction.” He said a Space Corps would “not produce” more space professionals and it “won’t help” improve space acquisition. The former head of Air Force acquisition, Bill LaPlante (a Cub’s fan and thus a good person) was the one who prescribed a dose of a Rapid Capabilities Office to help cure what’s ailing space acquisition (e.g. OCX, GPS III). For those who don’t know, the RCO was created by the Air Force back in 2003 to build a surface-to-air missile defense system for use around the Capitol and White House during George Bush’s 2005 presidential inauguration. It’s first complete acquisition program (that we know of) was the Boeing-built X-37B space plane. It also acquired the plane now known as the B-21 bomber. 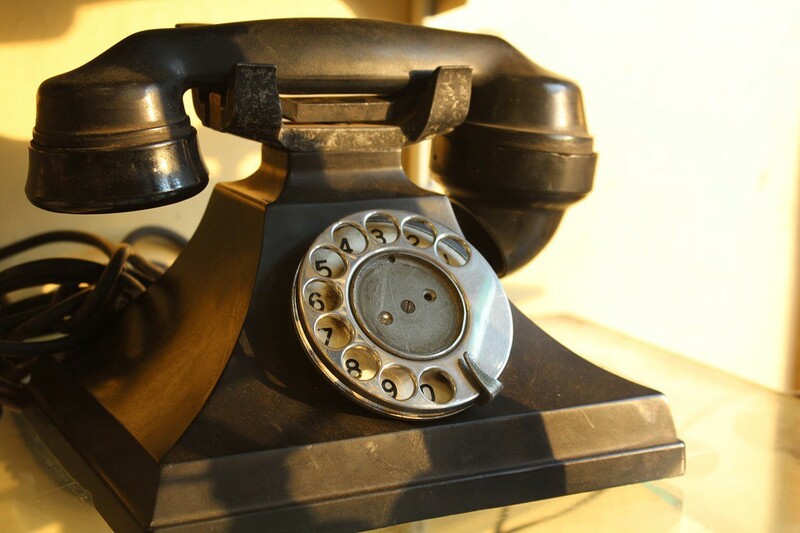 India’s telecom industry has been through a paradigm shift over the last three decades. A brief overview of the telecommunications market structurereveals there are some dominant market players with their associated competition. The industry has also undergone significant policy and regulatory changes through the years, in essence, leading to a control of market share of services by a few players. But it was not always so. The early 1990s saw the Telecom sector dominated by the Department of Telecommunications (DoT), which was the sole service provider. The first whiff of reform came about in 1994 when the sector began a transition from a monopoly to a competitive structure. During this period, beginning with the deregulation of the sector and followed by the issuance of two major policy instruments — the National Telecom Policy, 1994 (NTP94) and the New Telecom Policy 1999 (NTP99) — the transition to a competitive market based structure was successfully accomplished. The dominance of DoT, as the sole operator subsided with the entry of a number of private operators in various services such as fixed line, mobile telephony, international long distance and internet service providers. Telecom licenses were allocated by the DoT through auctions at a circle level with the country divided into 23 circles (in most cases each circle represented a state). Each circle was allotted two licensed operators. A series of sophisticated computer intrusions at electric companies and nuclear-plant operators this year has been traced back to a hacking group called “Dragonfly” and “Energetic Bear” that’s been previously linked to Russia, according to a new report from the computer-security company Symantec, which has seen about 100 such breaches since the start of the year, half of them in the U.S. The finding is potentially worrisome, because Dragonfly is one of very few hacking groups to evince expertise in power-grid control networks—the computerized systems that turn off and on circuit breakers. A separate Russia-linked hacking operation has twice demonstrated the Kremlin’s ability and willingness to use that kind of expertise to cause electrical blackouts—once in December 2015, and a second time a year later, both in Ukraine. 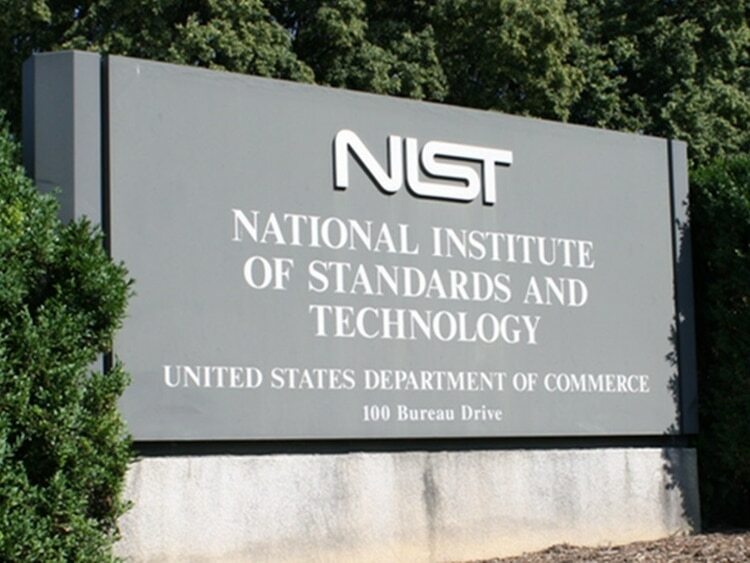 Symantec believes the U.S. breaches may be moving into similar terrain.